Dressing your internal doors with beautiful curtains does much more for your interior décor than simply keeping out the draughts. Our gorgeous range includes plains, textures and patterns in every colour and style so you can find the perfect fabric to complement your décor. 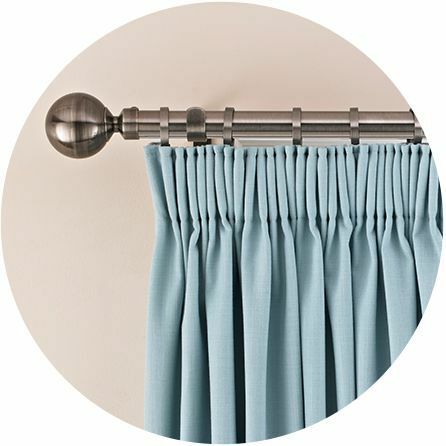 And of course, our curtains are supremely practical too. If you do want to make a draughty door feel cosier, we offer extra thick thermal linings to keep the cold at bay. 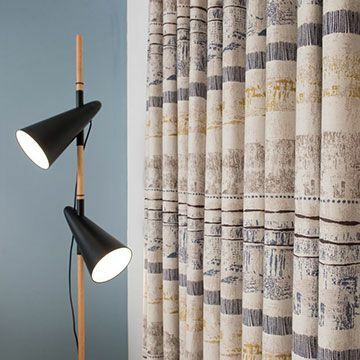 Or, if you’re lucky enough to have French doors to your bedroom, a blackout lining for your curtains will help you enjoy a good night’s sleep, uninterrupted by bright sunlight. Similarly, our blackout linings are a good choice for living room patio doors, helping to reduce glare on tv and computer screens. 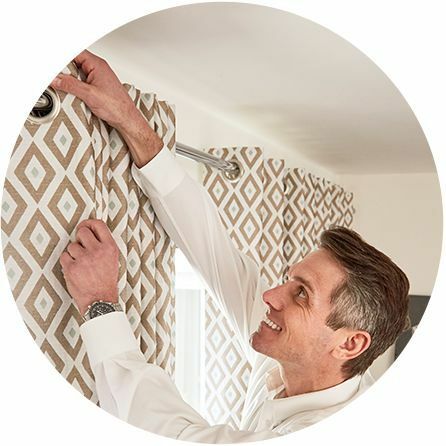 With over 40 years’ experience in made-to-measure window dressings, your advisor can help you get exactly the right curtains for your doors, no matter how challenging the size or shape. We’ll accurately measure your doors and then return to professionally fit your made-to-measure curtains to your exact specifications.